Buried inside a dragon’s lair is a Legendary Golden Dragon and its Golden treasure waiting to be found. 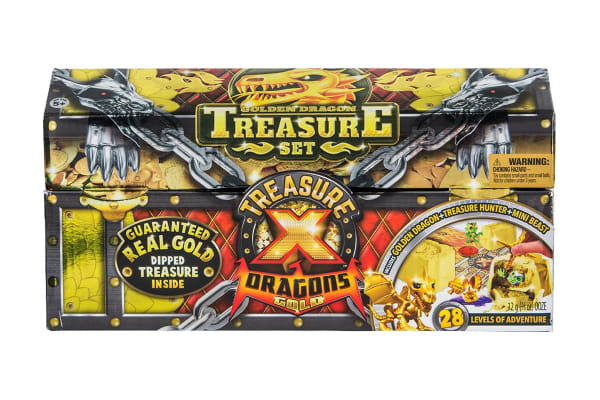 Break open and discover new Treasure Hunters and Mini Beasts who became trapped on their quest for Gold with the Treasure X Dragons 3 Pack S2. 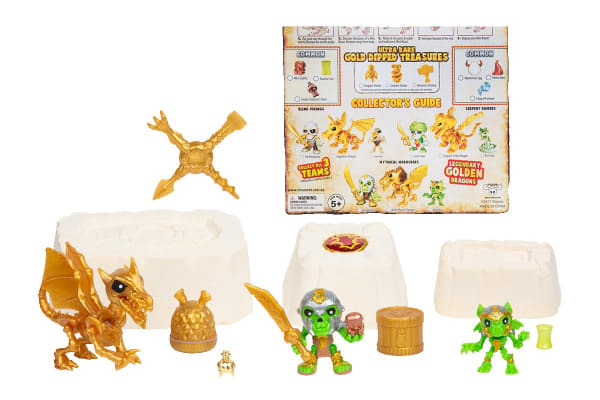 The Treasure X Dragons 3 Pack S2 has 3 Treasure Digging Blocks inside. Including a Treasure Hunter’s quest, Mini Beast quest and a quest for the Legendary Golden Dragon! 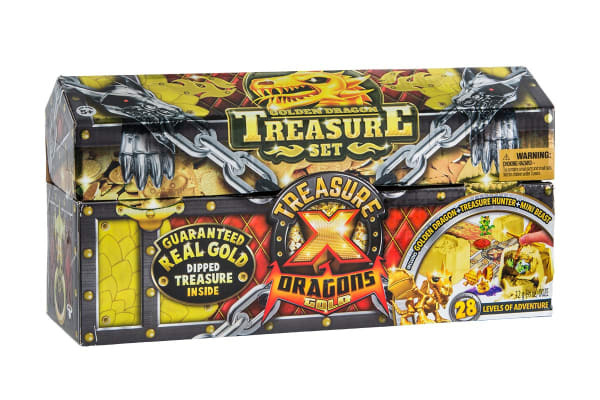 There are 28 levels of Adventure in the 3 Treasure Set plus you are guaranteed to find Real Gold Dipped Treasure!